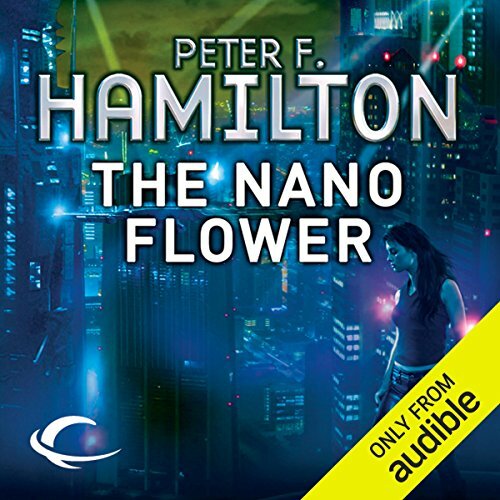 Nanoflower completes the Greg Mandel trilogy. Compared to the first two installments, Greg is now comfortably middle aged, a father with 4 kids (and one on the way), and a respected and successful fruit grower. Over the intervening 15 years since Quantum Murder, Julia Evans has healed Royan, they've become lovers, and have their own children all while continuing to run Event Horizon. The story unfolds with Julie receiving a "flower" that appears to be of alien origin and points to Royan who has been missing. Julie engages Greg to track him down. At the time, rumors of a next generation technology begin surfacing resulting in a second made scramble. Greg goes up against a psychopathic techmerc following the same leads for the flower and the technology. The action is fast and furious, and nearly nonstop. While the eventual resolution is not unexpected, the denouement is still surprising. Hamilton really begins to flex his muscles as a sci-fi grandmaster with this tale. The resulting alien biology (and microbiology) is refreshingly original and well detailed. Computer personalities are extended and space mining and colony settlements are ongoing. At its heart, this is a love story with multiple couples, each re-enforcing the theme. Perhaps the only legitimate criticism is the introduction of some new psy powers for Greg that while critical to the plot could have nevertheless been at least alluded to earlier. The narrator also deserves kudos for a fantastic range of voices. Great story as I've come to expect from Hamilton. The only complaint I have is I swear quite a few time I could here the narrator turning pages and taking odd pauses. I think the editing could have been cleaned up a little more. Brilliant! Peter Hamilton has never let me down. Epic, the arch of the story keeps you riveted until the final sentence. Mr Longworth brings a consistent dynamic tone to the adventure. Typical Peter Hamilton. Builds very slowly, then powers through to the climax. This one doesn't seem quite as polished as some of his other works, but still a good read. This thing went way off the tracks in volume 3. It was so predictable I had figured out the ending within the first few chapters, then the book kept trying to convince me with logic that made no sense that something else was going on. Despite how predictable it was though, the whole thing made no sense. The characters didn't have good reasons to think or behave the way they did. Terrible end to a great series. I'll just pretend this one doesn't exist. I really enjoyed this series!! The characters are fantastic. I liked the narrators voice and the way he did different character's voices. But he would pause at odd times and you could sometimes even hear him turning the page. Very odd. 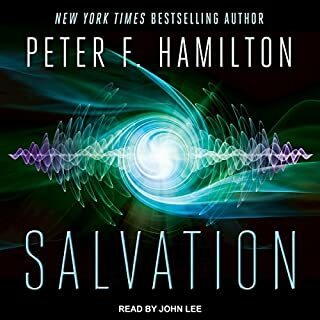 I genuinely enjoyed this final audiobook of the series. 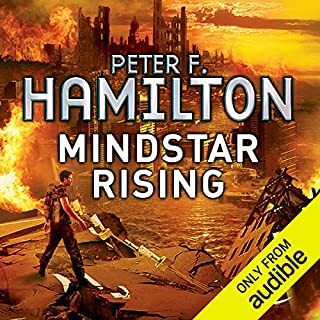 It's feels set on a grander scale though as cyberpunk meets Space Opera and I think that Hamilton just about made it. That said I didn't think that the narration was as consistently good as the previous books and it felt as though the author let the plot get slightly away from him. It's still a good conclusion to the series and very well worth a read. It once again combines a mystery with the science fiction and the characters are clearly important to the author and receive sympathetic finales to their nature. I will look out for more titles by Hamilton in the future. The narration was excellent of course. The editing could have been better. The occasional sound of page flipping is something you can live with of course since the story and conclusion are great. Top notch! Very good book and well narrated by Toby. 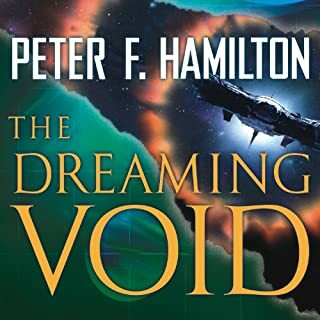 Would recommend to anyone who likes Peter F Hamilton books to try it. Really enjoyed this story, no need to listen to the other 2 volumes, it’s a good a standalone book by itself. Narrated superbly, the character voices are wonderful. Well recommend. I’m off to listen to vol 1 now. The story and the narration style make this quite an exhausting listen! There are twists and turns all over the place and the narrator's often intense and seemingly rapid style keeps the heart pumping pretty intensely. Sci-fi got in the way of the finale. Saying farewell to Greg Mandel was a bittersweet journey. 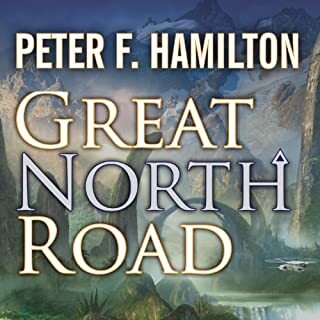 As always, Toby Longworth did a masterful job delivering the characters and, in general, the story was enjoyable, but at the end the plot fell into a much more traditional Peter Hamilton sci-fi novel, rather than a detective story set in his world and history. High point point was definitely the early story, low point was definitely the tech-merch side of the novel. I'll miss the Mandel family and friends, and wish the tale had focused more on their relationships, but I'm glad of a good ending to it all. You need to read one and two for it to make any sense. I would say this book is not quite as good as one and two but still very entertaining with excellent narration. the last decent novel from Hamilton? let's hope not. Toby l0ngworth really is a talent. I liked the little mistakes and shuffling paper. A fantastic ending to a series that i loved. Great characters, interesting story arc, super ending. I have had this series since they came out in print. The narrator does full justice to the wide range of characters. Only problem is that there aren't any more in this series. had to listen twice to soak in the detail and subtlety of the story. engrossing. This was a great book that I had enjoyed reading improved upon by Toby Longworth's narration. 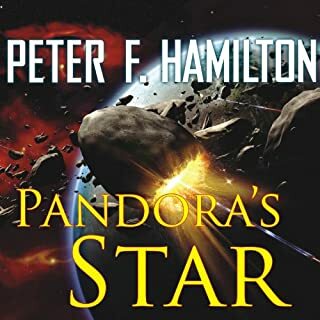 The last and best of the Mindstar books leaving you wishing Peter F Hamiltom would tear himself away from the Void and write another. A great end to a good series. Truly entertaining and full of complex character interactions. 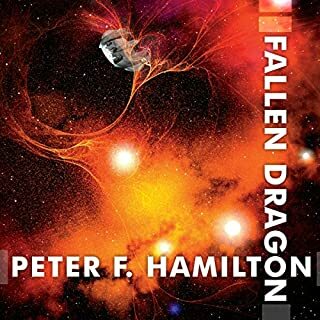 If you like Peter F Hamilton, you'll like this one.